What we know, and what we don't know, about the most popular new medicine in the U.S. 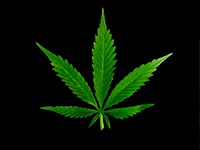 This year, 55 million Americans will spend about 55 billion dollars on the medicine in marijuana. In 32 states and the District of Columbia, they will use it for a myriad of medical conditions, depending on anecdotal advice about the frequency and dosage of cannabis, a plant with over 400 different chemical molecules. It's a messy mix of medicine, policy and politics--while cannabis is still federally classified as a Schedule 1 drug. Based on the 2017 National Academy of Sciences report about the effectiveness of cannabis for treating the side-effects of chemotherapy, chronic pain, epilepsy, and PTSD, The Medicine in Marijuana tells patients' stories, and those of the practitioners and researchers involved in their care: an infant with unremitting seizures; a man with an inoperable cancer; a woman with chronic pain; a veteran of 5 tours of duty with PTSD. Across centuries and cultures, people have told stories about the healing powers of cannabis, but the plural of anecdote is not evidence. Now, the science is catching up with the stories, and The Medicine in Marijuana tells it like it is. "The Medicine in Marijuana shows the personal side of the medical marijuana controversy that is important for people to see. It does not contend that medical marijuana is effective for all diseases or that it is risk free. It clearly identifies the weakness in many states' programs, including that physicians need to rely on dispensary personnel who may not be trained in human diseases and pharmacology." "Informative and balanced...An important historical perspective on the medicinal uses of cannabis...The individual stories of people whose lives have been changed by the use of cannabis for their medical conditions are moving, but at the same time, the film is careful to stress that the 'plural of anecdote is not evidence.' Until cannabis is removed from Schedule I of the Controlled Substances Act, scientists are prevented from doing the much needed clinical trials to understand the medicinal benefits of this substance - this is the 'cannabis conundrum.'" "As a scientist working with Cannabis Sativa, I am delighted to see a film that takes an honest and thorough view of what this crop is capable of, what we have data to support, and where the science is lacking. This film raises the important point that research is necessary and that the plural of anecdotes is not data...This film does a wonderful job clarifying some of the misconceptions out there and replacing those misconceptions with very solid information." "Medicine in Marijuana is a good introduction to the scientific challenges and thinking around cannabis as medicine...It focuses on what we do know, and more importantly, what we don't." "Comprehensive and balanced...Sure to spark debates about the merits and potential medical efficacy of marijuana, this film asks the viewer to think critically about the ongoing marijuana debate. With testimony from patients, scientists, medical professionals, and marijuana providers, The Medicine in Marijuana offers great potential as a teaching and learning resource." DVD includes SDH captions for the deaf and hard-of-hearing, plus scene selection. A clinical research trial at the Personalized OncoGenomics Program is changing the way scientists think about the future of cancer care. Gives voice to soldiers living with PTSD to help erase the stigma, examines the growing number of military suicides, and shows a successful group therapy program. ain, etc. and healthcare professionals are not educated on cannabis in their training, so we are leaving the public on their own to treat themselves."